Home Opinion Norway attacker: a madman or a neo-Nazi? Norway attacker: a madman or a neo-Nazi? Anders Breivik, who is accused of plotting and implementing twin deadly attacks in Oslo and Norway`s island of Utoeya, admitted to carrying out both attacks, which he described as ‘gruesome but necessary’. Breivik was going to change the world and plotted a revolution. He says he will reveal more details in court on Monday, July 25. On Sunday, 6 people were detained in Oslo, suspected of having to do with the terror act. Later, these 6 were released. Meanwhile, some reports say that the number of the victims has reached 93, and some call the figure of 97. Nearly 100 people were hospitalized. Norwegian mass media say Breivik had described his preparations for the attacks in a 1,500-page manifesto headlined “2083: A European Declaration Of Independence”. The manifesto is attributed to Breivik, though his involvement has not been confirmed yet. 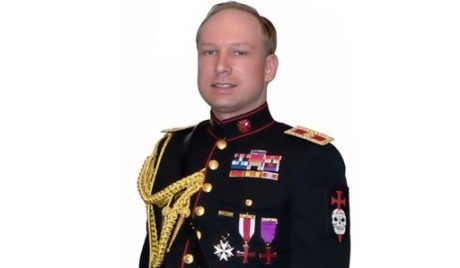 On the other hand, Breivik has not concealed his nationalistic views. In his 12-minute address posted on YouTube, he called for stopping the flows of immigrants. Breivik has been charged with terrorism. By law, the maximum sentence he can get is 21 years in prison.